Tonight Stephanie Arwen Lynch joins Beyond Worlds to talk about two important topics in Tarot: 1) How To Create A Spread, and 2) Phrasing A Question for Tarot. Arwen became the President of The American Tarot Association in 2007 and currently serves as the Organizer for her local Austin Tarot Meetup. She has been reading the Tarot since 1979 & professionally since 1982. 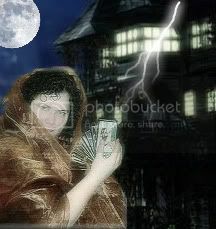 Arwen has taught workshops on "Tarot for the Professional Fiction Writer" as well as "How To Create Your Own Spread." She reads for everyone but specializes in reading for the writing community as well as the GLBQT community. She reads online as well as in person & over the phone. Arwen is also a published romance writer.